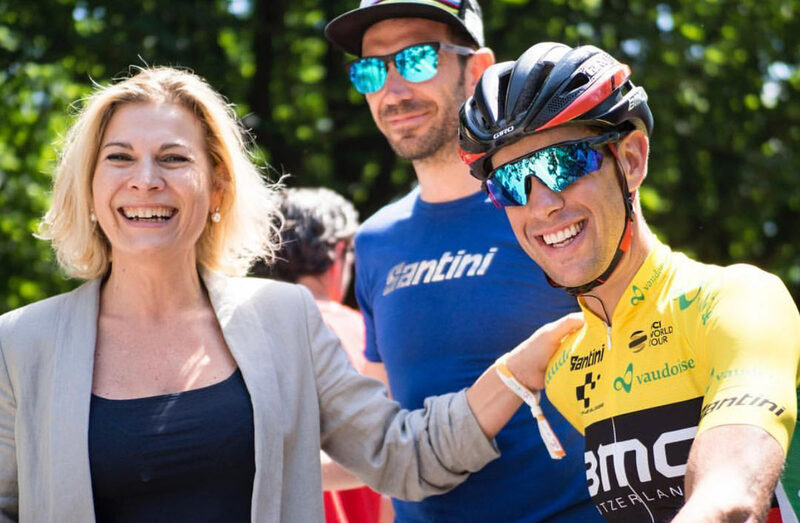 Santini SMS is an Italian, family run premium cycling apparel company doing north of $30 million in annual sales. Started more than 60 years ago by her father, it’s now led by Monica Santini with her younger sister heading the marketing department. Together, they’ve grown through strategic sponsorship alliances and by cultivating their retail network. In this episode we discuss how they make their event and athlete sponsorship work for them, which takes a lot of work, and what it’s like leading a big, international brand as a woman. We also dive into how she took over the family business. 01:40 – How do you compete against low price competitors? 04:50 – How do you convince customers you’re worth a premium price? 12:20 – Do sponsorships really help sell products? 14:20 – Are you designing products for the right customer? 25:50 – What challenges do female business leaders face? 40:30 – What challenges keep her up at night? 43:55 – How to Italian companies close for a month every summer? Monica says their brand is built on four pillars: Fit, Performance, Comfort and Durability. This keeps them focused on producing great products rather than competing against low-cost competitors. They produce everything in house in their Italian factory, using mostly Italian fabrics and materials, and control the process and design from start to finish. This helps them ensure everything they make is of the highest quality, which makes it easier to convey that premium message on the marketing side. Another way they build excitement is by creating products that stand out and meet their customers’ needs. A recent example is the introduction of Dyneema-enhanced cycling clothing, which basically makes the material tear and rip proof. For road cyclists, this can literally save their hide if they fall, and it was proven in the 2018 Tour de France. For their target audience, the benefit is not only immediately obvious, but also crystal clear and hugely important. What features or benefits can you introduce on your products or service that “wows” people? That said, your product could be the greatest thing in the world, but you still need to market it. Word of mouth will certainly help, but if you’ve noticed, even the most successful crowdfunding campaigns are still running huge social media ad campaigns to drive awareness and sales. A great product makes it easier to sell, but you still have to “sell” it by letting people know about it. Do sponsorships work as marketing tools? One thing we hear a lot in the cycling industry is that products and tech designed specifically for the professional riders don’t always translate to the average consumer. The pros are riding things harder and faster than most of us ever will, which means they need things to perform differently. The trick for manufacturers and brands is to take that athlete feedback and tailor it to how “normal” people would use it. It’s one thing to throw money or product at a team or event, but the real benefit comes from your own activation. In a nutshell, “activation” means promoting your association with an event, athlete or team. Typically, this is done through signage at the event, gear and clothing for the people, traditional advertising (TV, radio, print), and online/social media marketing, too. Because if no one knows about your sponsorship or affiliation, how can they care? This is an important part of any sponsorship program, and the costs of which need to be considered before you commit to any sponsorship deal. Why? Because activation can (and probably should) easily cost 3x to 10x the initial sponsorship fee. Monica says they also use these event sponsorships to woo major customers and brand partners. If they get VIP access to the finish line and can invite some of their major customers, that solidifies the relationship and helps keep their products in the major retails. Think box seats and private viewing suites at NASCAR and NFL events…same idea. This allows you to create “experiences” rather than just “marketing”, and in this day and age of constant demands for our attention, providing people with an authentic experience is far more powerful. The retail channels vary by region, and by country, but everyone is facing the crush of online retail supplanting traditional brick and mortar stores. Bike shops in particular are feeling the pain, but the lessons Monica shares are universal. They provide their retail customers with proper signage and point-of-sale materials, but also education. They provide training materials to help the store staff sell their products. With something seasonal like clothing, they also support the store by rotating stock and providing credit and swaps for stuff that didn’t move. For a retailer, this provides peace of mind if a store knows they won’t be stuck with products they can’t sell. They also communicate upcoming product launches, media pushes and marketing plans, which helps the retailer plan their floor. Monica is fairly brief on the challenges of being a woman leading a major company (Santini is a $30 million brand). My takeaway is that she knows how to deal with men on men’s terms and isn’t afraid to be direct, yet is sensitive to that fact that, well, some men can be a little sensitive to dealing with a powerful female leader. Honestly, we didn’t dive as deep on this subject as I’d hoped, so I’ll explore this more on a future episode. Leave a comment with any guest suggestions. What did stand out is this: Monica says, because their company is led by women, they understand the needs of their largely female workforce. But you don’t have to be a woman to understand what women need, just ask. Pay attention to the response, then treat everyone with dignity and respect. And respect that others’ needs are different than yours. The same is true for women leading men, men leading women, or any situation, whether your differences are race, socioeconomic status, education…whatever. Everyone’s different. What works for me is to simply set the expectations for performance, then let people loose to do their job. Judge based on their achievements, not whether they’re doing things exactly how you would. Or when and where you would. At the end of the day, it’s the results that matter, and if you can create an accommodating work environment, you’re more likely to attract and retain top talent. 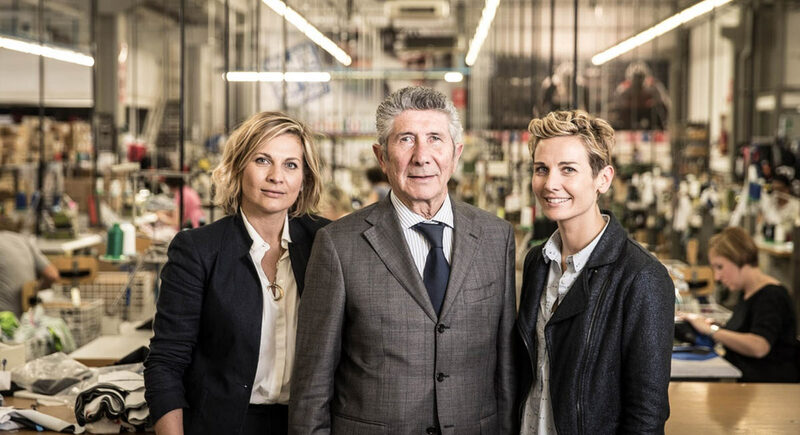 Monica (left) with her father and sister in their factory. From what I’ve seen, most family business transitions don’t happen overnight. Rarely does a son, daughter or other relative come out of nowhere and just take over. It’s usually a long transition where the leader-to-be works up through the ranks and at least dabbles in many aspects of the company before taking the reins. There’s a lot of benefit to this because as a leader, you need as least a base knowledge of how all the moving parts work together. Coming up through the ranks also fosters good will as you move into a leadership position, assuming you don’t burn bridges along the way. Monica tells how she championed changes that the employees wanted, sometimes dragging her father along, in an effort to modernize the company and steel the team that she would eventually lead. Whether you’re taking over the business, or just managing a group, that’s a great way to foster allegiance and support. The other side of the equation is easing the founder or prior leader out of the company. I love Monica’s analogy of letting them know that you’re not stealing their baby from them. Taking the time to transition into a leadership role also gives the parent or founder time to accept their changing role and trust that you’ll take good care of it. She suggests starting by working on things that aren’t their direct responsibility to prove you know what you’re doing. This illustrates your confidence and competence without directly threatening their position of power or make them feel like they’re being pushed out.